It has been said many times before that the perfect version of Spider-Man has finally arrived on-screen. Toby Maguire’s version was good and as the first real attempt at a big screen Spider-Man did exactly what it needed to without really being a faithful Peter Parker. 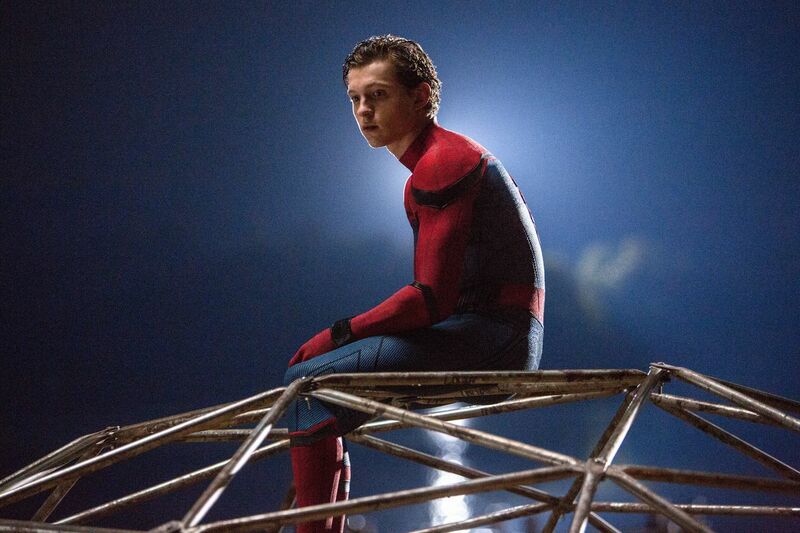 Then came Marc Webb’s version with Andrew Garfield as the hero and again, this was closer to the comics and had the wisecracks and CGI to pull the character off properly. Then came Civil War. Each version of the character has been closer and better than the last and although I’m in danger of repeating myself, Tom Holland is the perfect version of Spider-Man. This is because Marvel now have creative control (in an unprecedented but welcomed cross-studio deal) and the people who understand the character best are in-charge. So we get the youngest version of the character, a teenager clearly out of his depth who makes silly mistakes and decisions that a usual teenager would make. He actually acts and sounds like the Spider-Man from the comics and best of all, he is in an excellent movie which fits neatly into the best Shared Universe there is. Spider-Man Homecoming, regardless of the Marvel intervention and how it fits into the bigger Cinematic story, is an excellent movie. For starters, it is funny. Deciding to take the lightest tone possible, it plays off the idea that Holland’s Parker is a stupid, geeky teenager that finds himself in ridiculous situations. The jokes come from the actions sequences, with interactions between Parker and best friend Ned and also some amazing slapstick which you’d expect from this character. It is a superhero film after all so it also needs set-pieces and decent action and this comes thick and fast too. This is the best version of the superhero on-screen too. 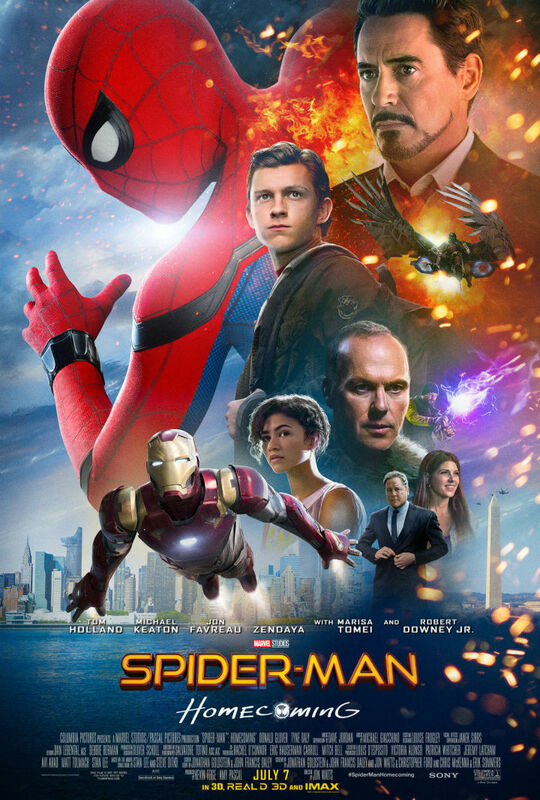 It showcases his gymnastic ability, his awkward but effective fighting style and also manages to put you on the edge of your seat with new and inventive situations to find Spider-Man in (which is no mean feat considering how many other Spider-Man movies there has already been). It also helps that this movie has an effective villain. Suffering from “too many villain syndrome” before, Spider-Man Homecoming keeps it to just the one (with a few henchmen to beat-up too) and they made an excellent choice. The Vulture is a super powered but fallible villain who is a credible threat to the teenager without being a building levelling, city destroying monster. The fact that The Vulture is Michael Keaton also helps. He is clearly having fun being the villain and a third-act reveal intensifies his threat further. One scene with just him and Parker in a car is as tense as any big, huge confrontation when they are both wearing their super-suits. Not that Homecoming doesn’t have it’s big, break-out finale. It is a Marvel, superhero movie after all but unlike the usual Marvel fare, it feels much smaller. This is Spider-Man trying to save part of the city from disaster rather than the world or even the whole of New York and it helps the character fit into the wider Universe because of this. Which takes us to the final, greatest piece of the overall puzzle which is that Spider-Man is finally part of the Marvel Cinematic Universe. His part in Civil War was arguably the best moment in the movie and here the connection is developed without being overwhelming. Developed roles for both Robert Downey Jr’s Iron Man and Jon Favreau’s Happy Hogan scratch the fanboy itch without taking away from what this individual film is trying to do. Overall, Spider-Man Homecoming is finally the film the character deserved in the Universe he belongs to. Holland is a great Parker and Spider-Man and he got a worthy villain in Keaton’s Vulture. There is action, comedy and enough to satisfy both the casual viewer and the die-hard Spider-Man fanatic.